DeKalb Health Home Care was the only 5-star patient survey rating in the region from April 2017 to March 2018. Learn more. Whether you are recovering from inpatient procedures or simply want outpatient treatment in a more convenient setting, DeKalb Health’s qualified medical professionals and skilled healthcare team are available to deliver specialized treatments, health services, and therapies for your medical care at home. DeKalb Health Home Care & Hospice offers services for a variety of healthcare needs, including pediatric, adult and geriatric care. As part of evaluating, monitoring and providing treatment, our RNs are trained to provide complete hands-on home health care. 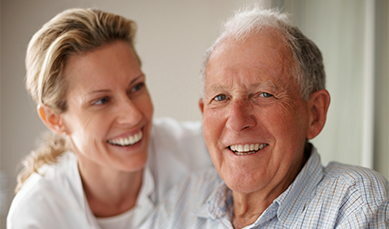 We strive to meet the home care needs of the residents in Northeast Indiana, 24 hours a day, seven days a week. For more information about Home Care & Hospice at DeKalb Health, call 260.925.8699.